In my travels around the U.S., I work with many different organizations, including public power companies. I work with their publicly-elected Boards to help them figure out how to effectively govern their organizations. Given that public power is a big business, and that most of these companies have very competent, professional staff, this can leave elected Board members, who typically have other jobs and receive only a small per diem in compensation, struggling with an identity crisis. What’s our role, they ask? What are our responsibilities as leaders when we have a competent CEO and executive management? My first encounter with these questions was with the Board of the Sacramento Municipal Utility District (SMUD). In 2002, their Board members were struggling to answer these questions: What’s our role? Are we here to simply look over the shoulders of management and rubber stamp their decisions? Or are we here to lead the organization? If we are its leaders, how can we do so effectively and responsibly? When I was invited to help the Board, I first needed to fully understand the problem before trying to devise a solution. In my interviews with the CEO and executive management team, I learned that they, too, were frustrated by the lack of clarity of roles. Rather than have one boss, they had seven Board members, each of whom expressed their priorities in different ways. Trying to interpret their desires, and at the same time create a coherent long-term business plan, was time-consuming, difficult and at times highly frustrating. Policies defining the Board’s long-term goals for SMUD. Over the course of a year, I facilitated a series of discussions and decisions to develop these policies. In succinctly written statements, the Board defined its long-range goals for SMUD in areas such as energy reliability, rate competitiveness, customer satisfaction and environmental sustainability. 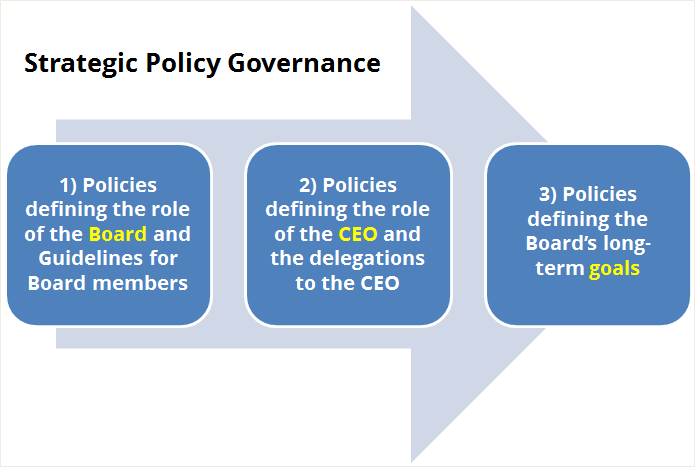 The Board developed policies defining what the CEO could decide and what the Board needed to decide. One lynchpin policy clarified that individual Board members could not direct SMUD management. A coherent set of policies that were easily accessible, a strengthened role for the elected Board, a clearer role for the CEO and executive management, and higher levels of communication and trust. Working with other elected Boards, I’ve continued to facilitate the adoption of this governance system. (Note: you can view a short slide presentation on different governance systems here.) From my experiences over the past 15 years, I’ve seen how effective this system, which I dubbed “strategic policy governance,” can be. First, it takes an investment of time to develop and maintain this system. All Board members need to be committed and engaged, along with the CEO and executive management. The onboarding process for new Board members is critical. Otherwise, new Board members may go “rogue,” leading to confusion and undercutting trust. 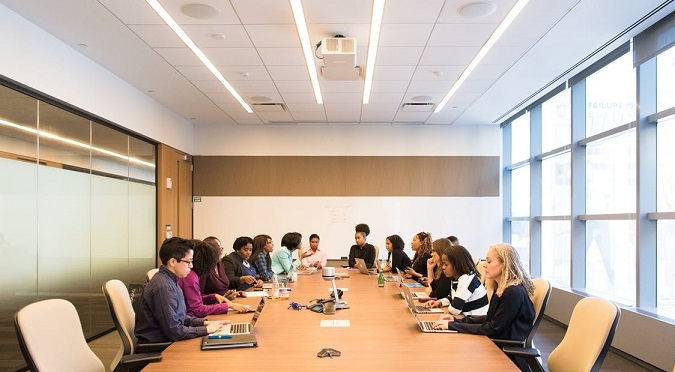 As changes occur in technology, in regulation, and in customer preferences, the policies need to evolve to reflect what Board members consider important and what management considers important. This requires enough time together to listen, collaborate and reach decisions. Board chairs and committee chairs need to be effective facilitators of Board discussions – and effective facilitators of decision processes. For part-time Board members who hold other jobs, this can be challenging. It is managements job to show the Board that it is achieving the Board’s goals. This may be in the form of quantifiable metrics and targets or evidence of strategic action and initiative. Occasionally, management may not achieve the goal. That’s the Board’s opportunity to evaluate how well the organization is doing and to decide whether it has defined the goals appropriately. As you may be able to tell, I’ve become passionate about this system and building strong, publicly-run organizations. While this work occurs mostly outside the public eye. The public is well-served when its elected governing boards operate under a coherent, effective system of governance. I appreciate that truth much more today than I did 15 years ago when I got that call from SMUD. Learn more about LRI board governance consulting here or read our case studies.